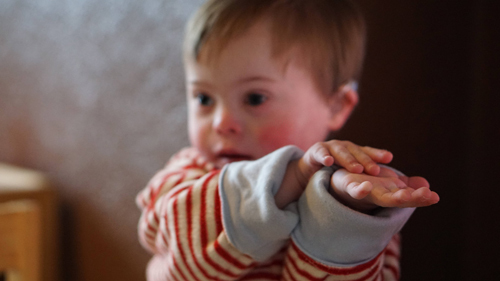 Sense, the national Deafblind charity, has launched ‘The Case for Play’ inquiry into the provision of play opportunities for children aged 0-5 with multiple needs, in England and Wales. Sense is calling for evidence from parents of children with multiple needs, specialists from the disability sector and practitioners. The inquiry report will be issued in early 2016. Play is a crucial part of every child’s development, helping them to develop social and communication skills. However, children with multiple needs often face barriers to accessing and enjoying play. Today, Sense, who have supported and campaigned for people with multiple impairments for the last 60 years, would like families and professionals to come forward to share their experiences of the issue. Former Secretary of State for Education and Employment, David Blunkett, will chair the inquiry, alongside Lesley Rogers, a parent of a deafblind child with multiple needs. Julie Jennings, from RNIB, will provide expert guidance. The evidence submitted to the inquiry will form the basis of a report setting out recommendations for national and local government and organisations that provide play opportunities. * What is the impact of play for children with multiple needs and their families? * Do barriers exist to young children with multiple needs accessing play settings and activities? * What can be done to increase play opportunities for young children with multiple needs? There are several ways parents and professionals can submit evidence the inquiry. These include taking part in online surveys, attending focus groups and responding in writing. To find out how to get involved visit: https://www.sense.org.uk/content/play. The deadline for the submission of evidence is 27 November 2015.